We supply a range of ID Card Lanyards allowing you to wear and display your ID Cards with a minimum of fuss. Lanyards are both colourful and far more comfortable than necklaces or chains as well as being safer. 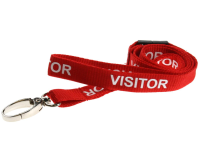 For complete security all our Lanyards are all fitted with a breakaway clip for health and safety reasons – if grabbed or caught, they will immediately come apart and can then be re-fastened. 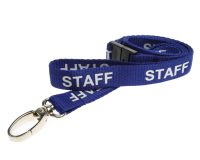 We hold a huge stock of plain unprinted ID Card Lanyards in a popular range of colours. These are our best selling quality product with a ‘Lobster Claw’ style clip. 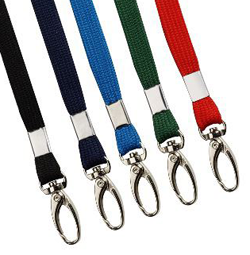 We hold a range of pre printed ID card Lanyards in a range of colours. All our ID card Lanyards are fitted with safety release clips for health and safety reasons. 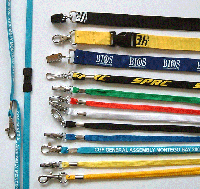 Our promotional ID card Lanyards are produced to your individual requirements, with your choice of text or your logo. 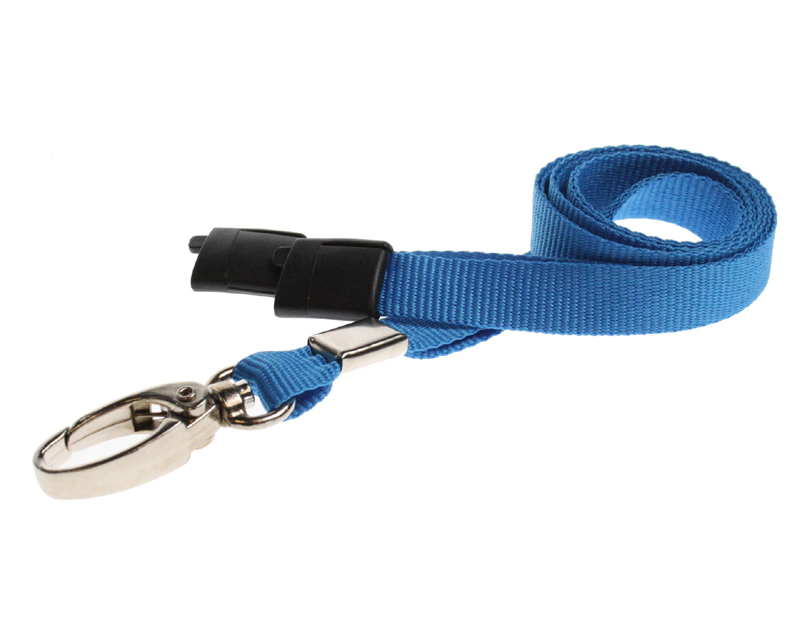 We offer a range of fittings, breakaway clips, dog clip, lobster claw, swivel clip, crocodile clip and many other lanyard fittings such as water bottle holders and mobile holders are also available. We will quote a fully inclusive price which includes the artwork, printing and delivery.